Red romance! 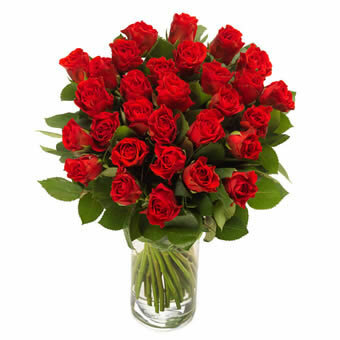 A classic bouquet filled with bright red roses. There is nothing better and more romantic money can buy for your sweetheart! ** The vase is not included. ** NOTE: This image shows an example bouquet. There is no specified number of flowers given. The florist will bind the bouquet according to season and region.